Increasing level of population growth, industrialization, and prosperity is leading to extensive use of energy. Almost 88% of this energy comes from burning of fossil fuels. The use of fossil fuels produces a major share of greenhouse gases (GHG). This is contributing to the increase in CO2 levels. CO2 is major contributor of greenhouse gases. The CO2 level in 2012 was about 40% higher than it was in the nineteenth century. Climate change has been described as the biggest global health threat of the twenty-first century. The increased levels of greenhouse gas emissions are leading to climate change and its adverse effects are reported to cause floods, droughts, forest fires, and melting of glaciers at a faster rate besides other natural calamities. During Conference of the Parties (COP21), a legally binding and universal agreement on climate change was achieved, with the aim of keeping global warming below 2 °C. Achieving this goal will require drastic emission reductions to stabilize GHG concentration in the atmosphere. 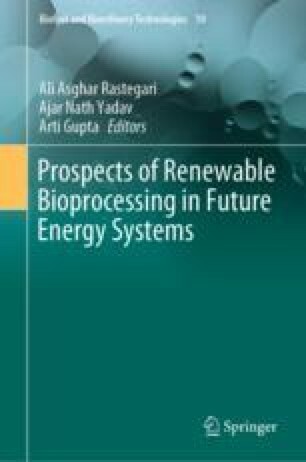 Replacement of fossil oil with biofuel derived from plant biomass has the potential to greatly reduce greenhouse gas emissions. Authors are indebted to Alexander von Humboldt Foundation, Germany. Professor Sven Schubert and Late Professor K. H. Neuman; Japan Society of Promotion of Science Professor S. Ogita, Japan; Ministry of Non-Conventional Energy Sources, Govt of India New Delhi. Department of Biotechnology, Govt. of India, New Delhi; Late Professor Melvin Calvin, University of California, USA; Professor Jack M. Widholm, UIUC, USA; Professor Riedacker, France. We also acknowledge our fellow workers and research students who have contributed to this work over a long period of time. They are Professor Emeritus Vijay R. Kumar, Dr. Shikha Roy, Dr. Shobha Johari, Dr. Jolly Garg, Dr. Anshu Saxena, Dr. V. P. S. Shekhawat, Dr. Shabana, Dr. Anita Kumari, Dr. Anu Shrivatava, and Dr. Amit Kotiya.